FREE event – the first of its kind – features over 30 leading employers such as Cairn Homes, Glenveagh Properties, JJ Rhatigan, SIAC, Bennett Construction, Amazon and Bord Gáis Energy. Are you currently working in the construction industry or thinking about moving into this sector? 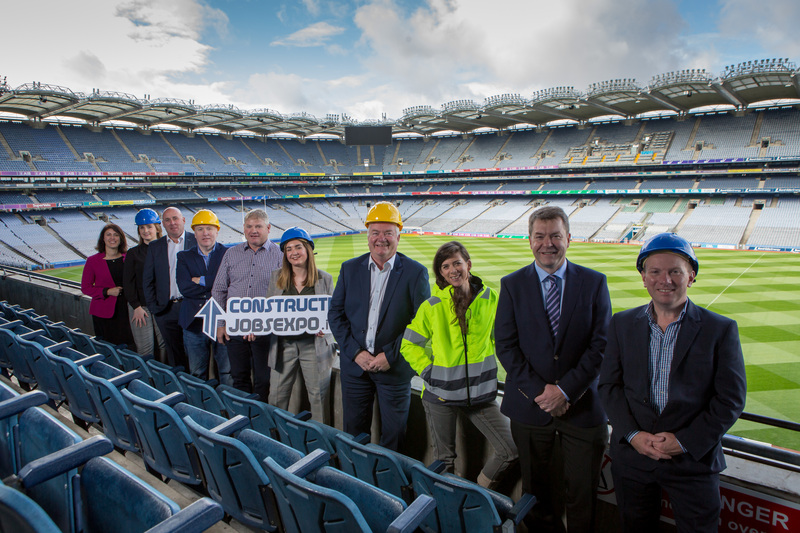 If so, the Construction Jobs Expo in Croke Park, Dublin is the place to explore your options on Saturday September 29th. Sponsored by Cairn Homes, the main construction sponsor, Construction Jobs Expo is a FREE event where thousands of construction sector jobs will be on offer. Companies in attendance on the day will be seeking engineers, electricians, estimators, quantity surveyors, health, safety, environmental and quality professionals as well as instrument technicians and experts in heating and plumbing. There will be a number of seminars in which Glenveagh Properties PLC are the main sponsors. Construction Jobs Expo is the first careers exhibition of its type and signals the return of high demand for skilled labour in Ireland. The construction sector suffered more than most during the economic downturn, but it now appears that the sector is back stronger than ever, with official figures indicating that over 120,000 skilled workers required between now and 2020. This need for skilled employees arises at a time when there is a huge shortage of construction workers in Ireland. In addition to meeting employers, there will also be the opportunity to attend a range of innovative industry talks from career professionals who will cover advice on everything from upskilling and education courses, to bridging the gender gap in the sector. Event sponsors include BCS Recruitment who are the main event organisers, Cairn Homes, the main construction sponsor and Glenveagh Properties PLC, the seminar sponsors.